After having never moved before going off to college, Dann married his college sweetheart, a girl from Pennsylvania who had also never moved, and they proceeded to move at a rate of four years out of every five since. He has lived in Illinois, Pennsylvania, Texas, New York, Indiana, Minnesota, Taiwan, and Xi’an, Chongqing, and Xining, China. Dann has held multiple teaching jobs in English, math, and ESL, as well as worked as a youth pastor, education consultant and general manager of a coffee shop and culture center. Best of all, he enjoyed writing his first book. He sporadically blogs at www.dannrobertjohnson.com. 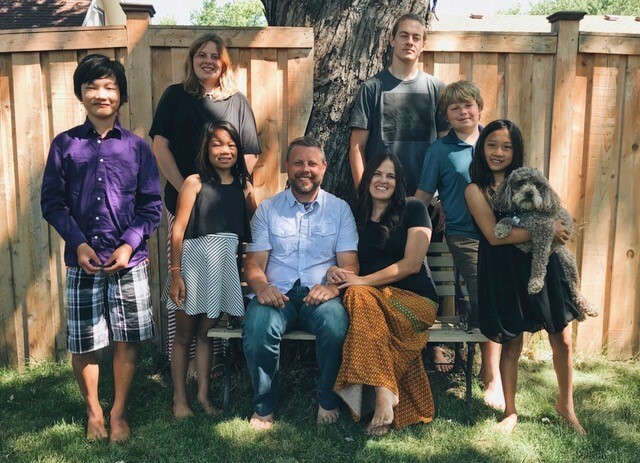 Dann and Tammy have been married for twenty-three years and have six children, three biological and three adopted. The third adoption in 2016 coincided with the ending of ministry in China, and, after two short years in upstate NY, the call to Clarkston came loud and clear. Favorite Vacation Spot? - The beach in Thailand.